When my oldest son, Kal-El, began to develop a fondness for Scooby Doo I was thrilled. I have to admit that I'm a pretty big fan myself. Not being the type of planner to shy away from a character themes I was so delighted to hear that he also wanted a Ruby Roo birthday party! I was hoping it would go that direction but I always let my little ones chose their themes. I got to work right away and started with the printables. I knew that I wanted very custom illustrations that included all the characters but not I didn't want them to look too commercial. Who else would I call upon other than the amazing Piggy Bank Parties. They did an exceptional job! 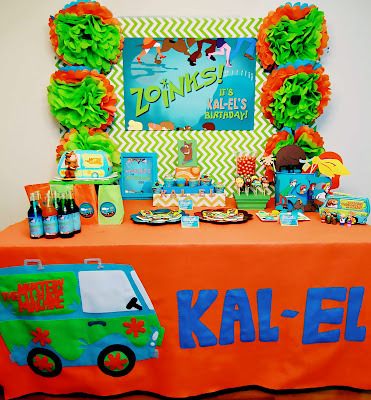 The color scheme for the party was based around the colors on the Mystery Machine and given the era in the cartoon these was no way that I could forgo the chevron. 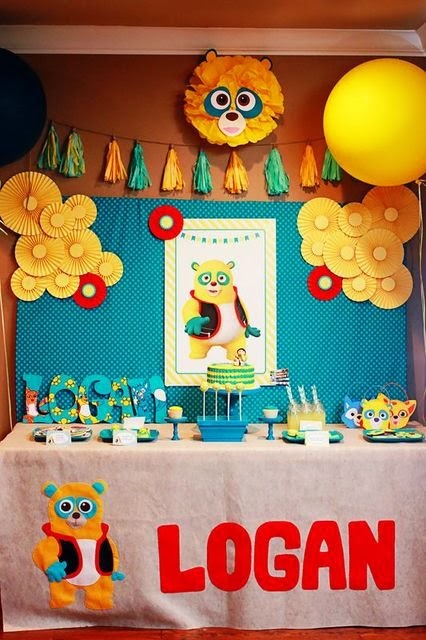 All of the details, from the custom Scooby inspired desserts to the décor came to together in such a fun way thanks to the help of all my talent ed vendors. 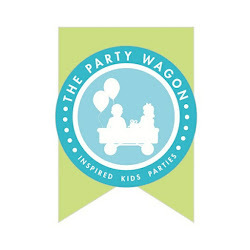 Danielle captured the party perfectly and I had one very happy mystery loving four year old! 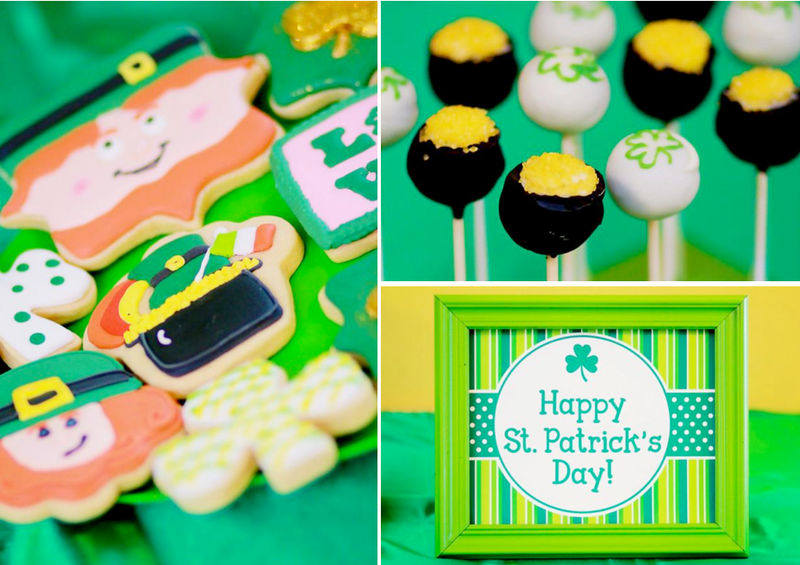 St. Patrick's Day Dessert Table On A Budget! 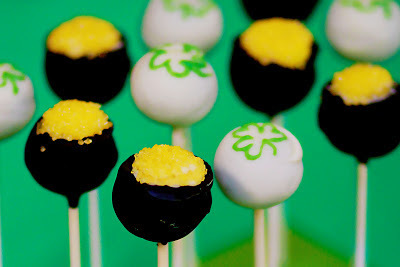 I had no idea this time last week that I was going to be tackling a mini dessert table in celebration on St. Patrick's Day. As a matter of fact, it's of no really significance in our household other than I'll use ANY excuse to throw a party and I basically love all holidays! I also wanted to see if I could put together something on a very limited budget as some of my local blog readers had requested. My lovely vendors really came thru for me on this little set up. It all started with adorable printables from Lauren Haddox Designs. Soon after How Sweet It Is and Tunky Monkey Sweet Treats joined for the ride and on extremely short notice they absolutely showed out! I was beyond elated to have Danielle McCann Photography capture all the Irish fun! She always captured everything so beautifully! Now for the details! When I said I wanted to stay on budget I wasn't kidding..at all. 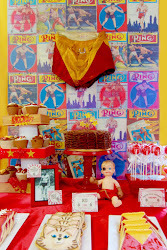 Most of the items used were recycled materials from past and future parties. I spent a total of...drum roll here......$17! I was thrilled with that number. Shocked myself even. I wanted to stay under $50 so I definitely achieved my goal! Here are some of my favorite cost effective tips! - Alternate store bought desserts and custom sweets. I had one of our talented local bakers, Heather of Gourmet Gal's Bakery, whip me up some little fondant shamrocks. I used a grocey store bakery and ask that they make a very simple round cake with no details. You could even do this part yourself but I was short on time. 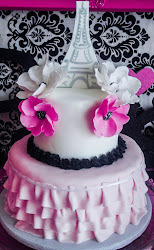 I simply added the fondant details to the store bought cake! - The cookies, cakepops, and cakeups were custom (I have friends in party places, lucky me lol) however what I would recommend, for the sake of budget, choosing one item that you want to be the specialty and either make the rest yourself or purchase from a local bakery. The store bought goodies can always be color coordinated and then dressed up with printables! Tunky Monkey makes out of this world cake pops! - For drinks, I love using recycled Crush brand bottled sodas. 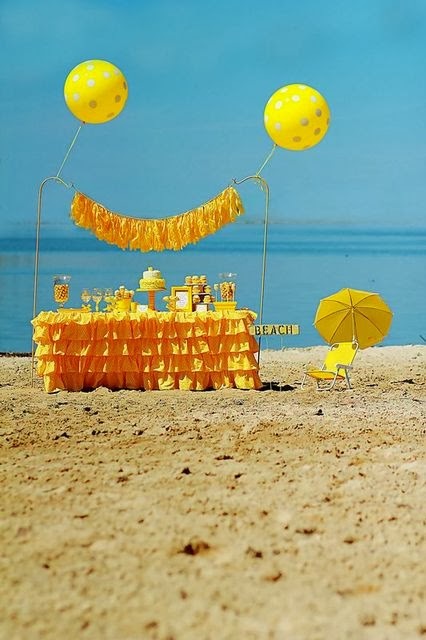 They are not exactly kid friendly however so bottled water or juice is a great alternate that can be dressed up as well! 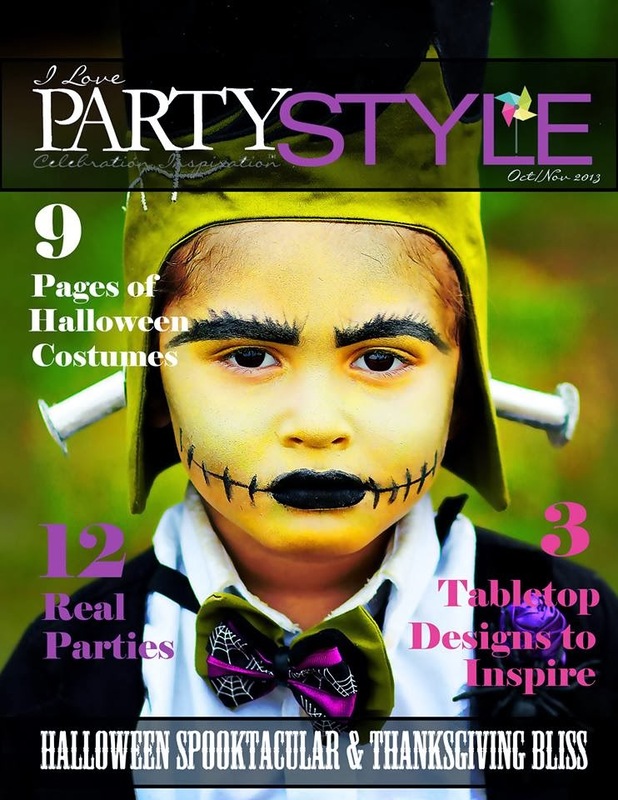 - Most printables sets come with an 8x10 image. Lauren Haddox's set was too adorable. I love putting that size picture in a frame and displaying on the dessert table. Just paint an old frame your color of choice and you are ready to go! - For smaller events I love to keep favors very simple. Bag toppers and mini zip locks are perfect! Lucky Charms were an easy pairing for this set up. I'm also serving the little Graham cracker scooby bones for my sons Scooby Doo party along the same concept!